Here at everythingbiorb.com we strive to provide the best customer service possible. As an online company, one of the areas we help customers with the most is shipping. We always do our best to ship out the orders we receive as soon as possible! Today we will be discussing the shipping process and what should you expect from the FedEx Ground shipping method. A lot of the items we ship with BiOrb will be shipped using FedEx. 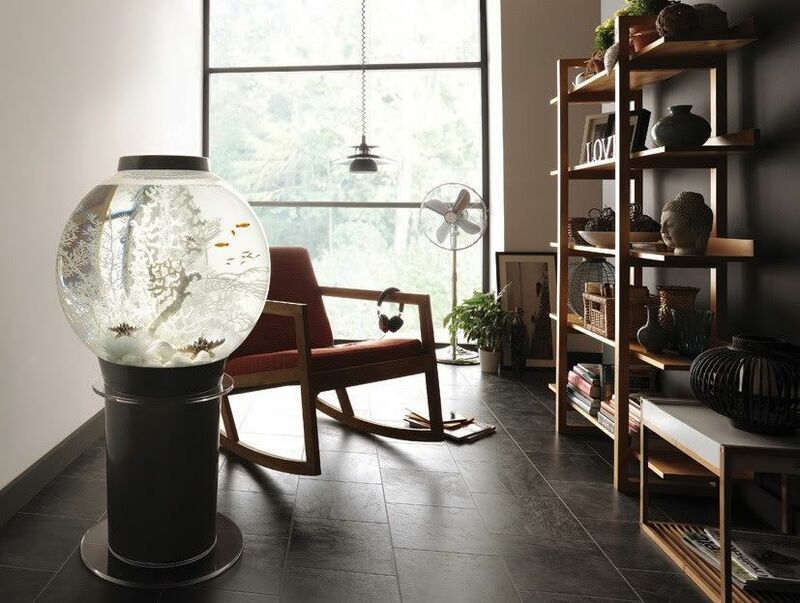 The BiOrb Aquariums such as, the Baby BiOrb, the BiOrb Halo 60 and the BiOrb 105 tank, will be shipped using FedEx. This is because of the size of the boxes. Additional items such as the BiOrb Ornaments such as, the BiOrb Black Pebble Sculpture, BiOrb Spanish Dancer, BiOrb Clamshell Sculpture or the BiOrb Coral Sculpture, will also be shipped using FedEx. For the smaller items we sell such as BiOrb Service Kits, BiOrb Air Stones and BiOrb Cleaning Pads are all small, light, and cheap we use the Post Office (you can check out our post on USPS shipping here: Everything BiOrb Shipping Blog). However, we do have customers who order larger orders that we will upgrade to the FedEx Ground shipments. FedEx is more reliable for us and also comes with insurance on our end so that we are covered just in case anything goes wrong with the shipment. Also, FedEx Ground shipments are less likely to arrive damaged or get lost. In the end, if you buy a large order we will protect ourselves and you, our customers, by upgrading that shipping to make sure no problems arise. We are located in Lindon, UT, which is approximately 40 miles south of Salt Lake City, UT. The local hub for FedEx is in Vineyard, UT. Vineyard is a neighboring city and the facility is less than 2 miles away from our location. Everything we ship with FedEx is collected and scanned by our local FedEx hub in Vineyard, UT and is then transported to you the customer. Our offices are open Monday through Friday from 9 Am to 5 PM MST. There are few exceptions pertaining to major holidays that FedEx observes. Those holidays include: New Years Eve, New Years Day, Memorial Day, Independence Day, Labor Day, Thanksgiving, Christmas Eve and Christmas Day. On the days that we are in the office we print all of the orders that we can before 2:00 PM MST in order to give us time to get the order ready for pick up. FedEx Ground is very reliable in regards to their pick up times – they show up around 2:45 PM and leave just after 3:00 PM. When we arrive at the office at 9:00 AM we will print all of the orders that have come in since the last print of the previous working day. On Mondays that would include Friday after 2:00 PM up until the time of our first print on Monday. Later in the day we will do a final print at 2:00 PM in order to print all orders that came in after the first print of the day. Every order we print that day is then prepared for pick up by FedEx. When we print your order using our software, a tracking number is generated. Our system will then immediately send you an email to give you that tracking number. However, the tracking number will not update until FedEx has picked up your order and scanned it into their system. As stated previously, they do not pick up from us until 3:00 PM MST. Therefore, the tracking should show that it has been picked up and in their system soon after 3 PM. Later in the evening you will see that it has made it to the hub in Vineyard and then tracking should continue to update as the package travels to your destination. After the order is initially tracked, the tracking should update every 1 to 2 days as the package passes through FedEx hubs and gets scanned. However, there are times when the tracking fails to update every 1 to 2 days, although with FedEx this seems to be very rare. We advise patience because this can happen from time to time. Having dealt with thousands of FedEx packages we don’t worry about a package if the tracking hasn’t updated until 7 days after it was picked up. Then we begin to fear that the order may have been lost. FedEx is very reliable, however, there is a chance that your order may get lost. FedEx loses less than .2% of all of our shipments. It is very rare that FedEx loses a package. We apologize if you are the unlucky customer whose order gets lost. We typically give the order 7 business days before we will ship out a replacement. (On lost orders we initiate a trace on the shipment and/or will file a claim). If by chance we do ship out a replacement order and both orders show up to your location we will figure out the best way for both parties to get the package back to us. We will print and ship your order as soon as we can. Our customer service and shipping departments focus on this task every day at work. Shipping estimates from FedEx are for Business Days only. Business days are considered Monday through Friday. Holidays are not considered Business Days and will add a calendar day to your shipment. The day your order is picked up by FedEx does not count as a shipping day. For example: If your order is on a Friday and the estimation is a 3 Day Shipment, then you order has until Wednesday to arrive to your location and be considered “On Time” and within their estimation window. Monday is the first “shipping day” and Wednesday is then considered to be the third “shipping day”. Once we have processed your order and it has been picked up from our location the order is literally “out of our hands”. We are not FedEx. We ourselves are not in charge of what FedEx does with your package. We simply contract with FedEx and pay them on your behalf to have the order shipped to you. We give them the address we have been given and they get it to that address however they see fit. However, if there is a problem with your order we will do our best to resolve the issue. FedEx has a Money Back Guarantee on all of their Ground shipments. If your order does not arrive by the indicated day from FedEx then it is eligible for a refund. However, there are a few catches to this. In order for you, the customer, to receive a refund you will need to have paid for the shipping. If you did not pay for shipping then there is nothing to refund. FedEx does like to use excuses as to why orders were not delivered on time. They say that things that are out of their control such as weather are valid reasons for late deliveries. Which I can understand, its hard to deliver a package in a blizzard or if there is flooding. Sometimes they do get a little ridiculous with thunderstorms as being a reason a package was not delivered. The one instance I did not understand and did not agree with was they did not grant a credit/refund because one of their vehicles broke down. In my opinion this was under their control and their fault but they did not see it that way. Therefore, there is a process for us to grant a refund for the shipping. Once you have notified us that your order did not arrive on time we will need to call FedEx to see if they will grant a credit/refund for the shipment. Once we get the word from FedEx we will let you know what they tell us. PO Box stands for Post Office Box, meaning the Post Office technically owns the box and very rarely, except in rural areas, does the Post Office allow other shipping companies, such as Fed Ex or UPS, to deliver to a PO Box. In these cases, we first try to see if the customer has a physical, or non PO Box address, or if they have a family member or friend who has an address that Fed Ex can deliver to. Once you contact us about the damaged item and send us a picture to our email, we will contact the manufacturer and determine the best method available to resolve the issue properly. This is very rare with FedEx. They are typically very reliable in getting items delivered to the correct location. In fact, if they cannot find the address they will call us, the shipper, to verify the address and see if there is a need to correct the address. If your tracking does who delivered but you have not received the item the first we do is contact FedEx to initiate a trace for the shipment. They have up to 48 hours to investigate and respond to us. There has been times where they have found that a mistake was made and they were able to recover the shipment and correct it. Other times they have come back to tell us that they have checked and according to the driver the package was delivered to the correct location and there is nothing we can do about it. In this case, we will deliberate with our supervisors and come up with the best plan to make sure we give you the best service possible. We are here to make things right for our customers. We are all humans and can make mistakes. There are times when an incorrect address is given on an order. The nice thing with FedEx is that if the address is completely incorrect and does not exist they will contact us for a correct address. The downside is when they have to change the address they will charge a $15 fee. This fee is something that we will ask you, the customer, to cover since the error would have occurred on your end. Another problem is we have had customers give us an incorrect address which ended up being a real address and it was delivered to that location. At that point we cannot do anything for you. You will either need to re order the items or go to that address to see if you can get your items. One way to avoid all of this is to double check your address before you complete the order. Another way is to look at the address on the email confirmation that we will send to you when you place the order. It is best to notify us as soon as possible so that we can try to fix the address before the shipment gets picked up. It is much easier to fix if the order is still here in our warehouse.